Get the story on KERA. The people of West had spent three years coming to grips with the fertilizer plant blast that killed 15 and leveled part of the small Texas town. Then came Wednesday, when Alcohol, Tobacco, Firearms and Explosives special agent Robert Elder said the agency is investigating the incident as a crime. Get the full story from Latino USA. 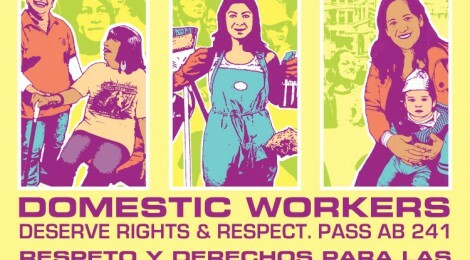 This year, California passed a Bill of Rights protecting domestic workers. New York and Hawaii have passed similar bills. But what is going on in the other 47 states? Andrea Cristina Mercado is the campaign director for the National Domestic Worker Alliance. She joins host Maria Hinojosa to talk about how the legacy of slavery makes it difficult for domestic workers to organize and how despite obstacles, the domestic worker movement has grown. Photo courtesy of Dignidad Rebelde. Photo courtesy of National Domestic Workers Association. Andrea Cristina Mercado is the daughter of South American immigrants, the mother of two small girls, and the new Campaign Director at the National Domestic Worker Alliance. For the past eight years Andrea has been organizing at Mujeres Unidas y Activas (MUA), a grassroots Latina immigrant women’s organization in the San Francisco Bay Area. She is one of the co-founders of the National Domestic Workers Alliance and has played a leadership role in building and coordinating the California Domestic Worker Coalition, a statewide effort to include domestic workers in labor laws. It’s not just Latinos who are hoping the government shutdown ends and Congress can get back to work on immigration reform. 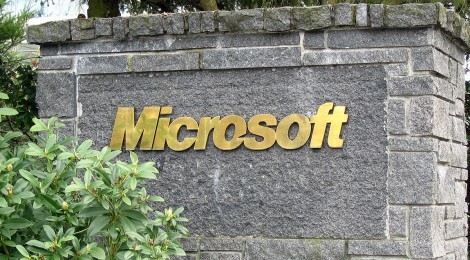 The business community, and in particular the tech sector, wants to see legislation too. Brad Smith, Microsoft’s general counsel and executive vice president, talks with Maria Hinojosa about why he cares about immigration reform. He discusses how essential immigrant workers are for the tech sector, and the American economy as a whole. When Astronauts drink coffee in space, it’s hardly a gourmet experience. Like all liquids aboard the International Space Station, coffee comes freeze dried in an aluminum pouch. Astronauts rehydrate the pouch with hot water from a dispenser and drink through a leak-proof straw. The problem is that they can’t add anything to it because it might leak and damage the equipment. For now, there are just four ways astronauts can have their premixed coffee: black, with lots of sugar, lots of cream, or lots of both. That’s how the Texas Space Grant Consortium described the problem to Rice students Robert Johnson, Benjamin Young and Colin Shaw in their Intro to Engineering class. Throughout the year, Shaw’s team developed a system using aluminum pouches and a 3D printed roller to help Astronauts customize their coffee. They had to develop a way to pour exact amounts of cream and sugar into coffee without the use of gravity. They started by putting creamer and sugar into aluminum pouches. They adapted NASA’s leak-proof straws to link the pouches together. Then they designed a special roller to push the condiments out of the bag. It looks like those plastic gadgets used to squeeze the last drops of toothpaste out of a tube. The execution? It’s pretty easy. A few cranks of the roller and the sugar is pushed into the coffee through the special straw. The lines on the pouch tell you exactly how much is going in. Same with the non-dairy creamer. Compared to the condiment bar at Starbucks, it might seem complicated, but the students say it’s a small sacrifice for the ability to make a perfectly blended drink. They hope that with more testing their invention will be ready to go up to the International Space Station. NASA has told them that it might have other uses, like any time a precise amount of liquid has to be dispensed without the help of gravity, for example with IVs. The Alley Theater in downtown Houston is one of the city’s most significant landmarks, its opening in 1968 was a nationally chronicled event. Forthcoming renovations will only bring a deep cleaning to the building’s façade. The inside, however, will be almost unrecognizable. 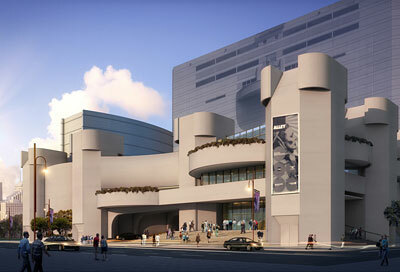 The plans include a reconstructed lobby and a complete renovation of the theatre’s largest stage. Gregory Boyd is the Alley Theater’s artistic director. He says the stage was constructed at a time when minimalist productions were in fashion, and that this has limited their more modern stagings. The remodeling will come at the end of a $73 million dollar capital campaign, of which $31 million has already been pledged. The reconstruction will also bring more educational and event spacing and significant green energy upgrades. Go Texan Day is an annual Houston tradition celebrating the start of the Houston Livestock Show & Rodeo. Houstonians are encouraged to don their cowboy hats, belt buckles and boots in a nod to Texan history. No, we don’t usually dress like this! 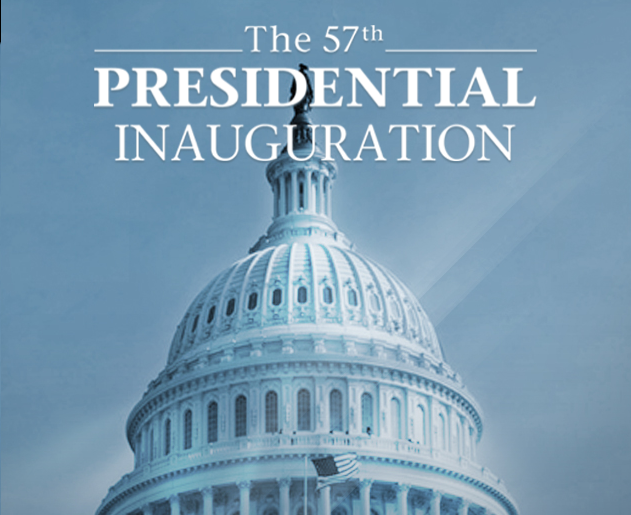 The Presidential Inaugural Committee recently released a smartphone app to help people follow the day’s events in real time. It has maps of the parade route, volunteer opportunities and real-time updates. As NPR’s Brenda Salinas reports, it also has an invisible feature that could help Democrats mine data from users. It’s the first app you see when you open the iTunes store: Inauguration 2013. The welcome page asks for your phone number. Below that, a link to terms and services. You can skip both and go straight to the features. And it’s pretty good, according to Jason Brookman. He’s the director of consumer privacy for the nonprofit Center of Democracy and Technology. He likes the app’s features but not its terms of service. That link – the one most users probably ignore – takes you to a document on the committee’s website, and it’s the website that opens up a loophole for Brookman. The Presidential Inaugural Committee would not comment publicly, but it did defend its app in a statement, saying it had no way to collect emails, names or other personal information. It also defended the terms of service on its website, saying it’s appropriate for a president’s inaugural committee to support and reflect their party’s ideals and causes. And that’s a problem, says Brookman. The app links to services like Facebook, Twitter and its own website where the rules aren’t so clear. App data-mining iscatching the attention of both parties. Dan Morgan is a GOP fundraising consultant. While he doesn’t like the idea of data-mining apps, he says we’ll be seeing more of them, from Democrats and Republicans. Morgan predicts a future where political groups mine more data than Google. Campaigns will make special apps for town halls and public appearances, and then the data will be mined for fundraising. To him, this is just the tip of the iceberg. 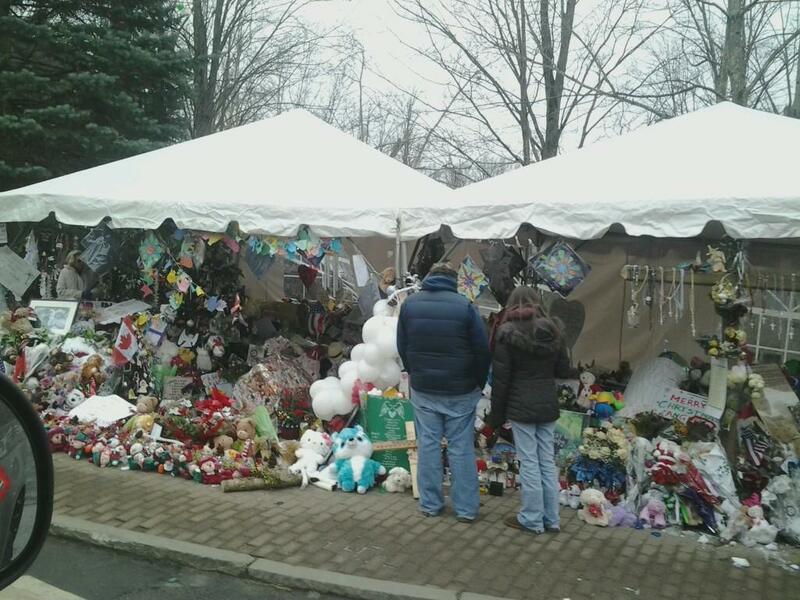 The Sandy Hook Elementary School makeshift memorial on Berkshire Road in Newtown, CT. In the wake of the Sandy Hook shooting, a number of religious charities offered their assistance. Now, a coalition called Atheists Giving Aid wants to raise $50,000 to help pay for funeral costs and counseling services for the victims. Amanda Brown is an activist. She runs a campaign called We Are Atheism. She calls it an “it gets better” campaign for atheists. When she heard about the shooting on the news, she wanted to help in whatever way she could. Brown enlisted the help of her graphic-designer husband, and her friends in the atheist community. They made a fundraising website, and promoted it on Reddit. It’s called Atheists Giving Aid. So far, they have raised $18,000. Their goal is 50,000. One of their partners is American Atheists Inc. Amanda Knief is their managing director. She says this initiative fits right into their charitable mission. They have been raising money for people in need since Hurricane Katrina. Knief hopes that more public charitable giving will help change the perception of atheists. Ed Buckner isn’t so sure that will work. He’s a former president of American Atheists. He thinks the best way to affect public perception is through modeling good citizenship. He is all in favor of giving money to good causes, but he day-to-day interactions with Atheists will have more of an effect in changing public opinion. Regardless of perception, he hopes that community leaders will start to include the nonreligious in moments of tragedy. Yesterday was the anniversary of Pearl Harbor, the attack that launched the United States into the Second World War. Of the original 16 million service members, only two million are still alive. And a group of them traveled from all over the country to visit the national memorial yesterday. Brenda Salinas has this report. Jim Hardwick has traveled a long way to get to D.C. He’s come to all the way from Dallas, Texas for one purpose: to see the World War II memorial. It’s a cloudy December day. It’s cold, but he doesn’t seem to mind. This memorial is a special place for him. He saw it for the first time two years ago and he’s happy to have a second visit. Jim hopes that they’ll remember his stories too. He was only 17 when he enlisted in the Navy. He says he was trying to escape the Great Depression, he wasn’t expecting the Great War. Seven months later, Jim went to a luau on a nearby beach to celebrate his 18th birthday. He woke up the next day to the sound of explosions, confusion, shouting. He was ordered to return to his ship. On the way, he saw the damage from the torpedo attack: four ships sinking, solid black clouds and flames, the smell of fuel oil burning. He made his way back to his damaged ship. The attack was over. But the war wouldn’t be over for another four years. As much as Jim appreciates the annual day of remembrance, he wants people to remember that Pearl Harbor was only one day in a very long war. He hopes to visit the memorial again someday. He is 89.